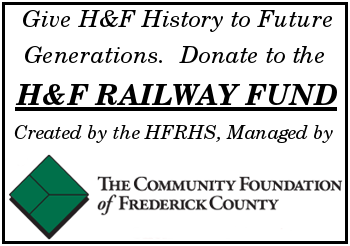 The equipment used on the Hagerstown and Frederick Railway was a collection of pieces from various railways and even home built units. Company rolling stock was not common. The following are some of the rare pieces owned by the H&F. Here is a hopper used to move ash at the R. Paul Smith Power Plant in Williamsport. Built in May, 1927. 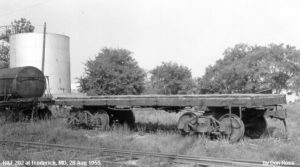 Equipped with arch bar trucks, it certainly stayed only on the property by the time this photo was taken August 28, 1955.